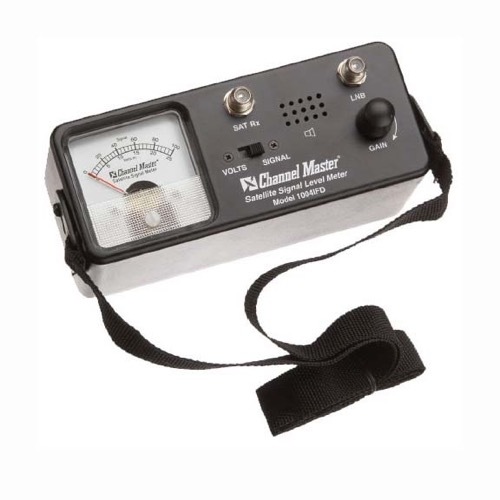 Satellite IF amp and broadband detector; derives meter and variable frequency audio tone. Dish aligned for maximum meter deflection or highest pitch tone. Gain control allows range of input signal levels, measurements of voltage on cable and LNBF current. The Meter output must be connected to the satellite receiver in order to supply power. The units operate from 11-24 VDC on the coaxial cable. Easy to carry, less than 6" long with carrying strap.